Highly sensitive and easy set up. 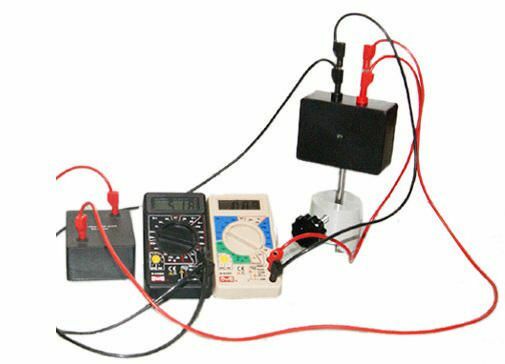 This apparatus is used to determine the dependence of photocurrent on light intensity and the Photodiode forward and reverse bias characteristics for fixed irradiation. The BPW34 is a high speed and high sensitive PIN photodiode in a miniature flat plastic package. Due to its water clear epoxy the device is sensitive to visible and infrared radiation. The large active area combined with a flat case gives a high sensitivity at a wide viewing angle. In the present setup, the photo-diode characteristics in forward bias and reverses bias configuration for fixed irradiation is measured. Also, the dependency of photo-current on different irradiation will be measured. Required but not included: Power Supply 0-16V,1 Amp 1.